Copy of photograph showing replica of the Libery Bell which was cast by Pullman's Union Foundry for the 1893 Chicago World's Fair. 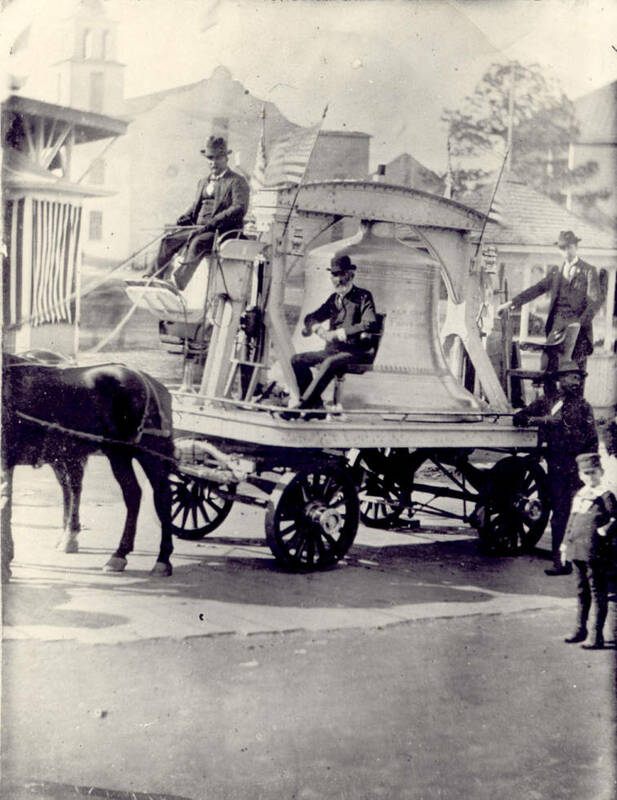 The bell is being moved on horse-drawn wagon. Note African American man leaning on wagon. Description Copy of photograph showing replica of the Libery Bell which was cast by Pullman's Union Foundry for the 1893 Chicago World's Fair. The bell is being moved on horse-drawn wagon. Note African American man leaning on wagon.